The fitness band and health-tracking ecosystems have been booming considerably when compared to smartwatches. As per the recent IDC report, Fitbit continues to dominate the wearable market with a massive 23 percent market share. But, the company is struggling to keep its financials in check. Thus, the company’s fourth quarterly earnings report will not only see it disclose disappointing numbers but also lay off up to 10 percent of its staff as well. This development was first reported by The Information, who is unaware of the teams being affected by this exercise. It will most likely lead to the departure of 80 to 160 employees across various departments. This move is also expected to save Fitbit some much-needed bucks, i.e to the tunes of over $200 million in costs. This can be seen as a restructuring effort to streamline operations for this major wearable player. It could also mean that the Fitbit is now diverting its focus away from being just a hardware player to a software one as well. Further, the report suggests that the company recognized that the wearables market is expected to witness a slowdown in coming months. It decided to move past its current selection of fitness accessories and diversify the propositions for a soon-to-be stagnated market. The recent acquisition of Pebble and Vector Watch will, thus, enable Fitbit to stay competitive and develop smartwatches — a new product category for the company. With the merger of said assets with its own technology stack, Fitbit is now probably looking to develop new e-paper smartwatches. These wearables will now integrate software and hardware assets that’ve been picked up from the aforementioned companies. Pebble has been one of the most widely recognized smartwatch players in the market, whereas Vector was a trendy new entrant. 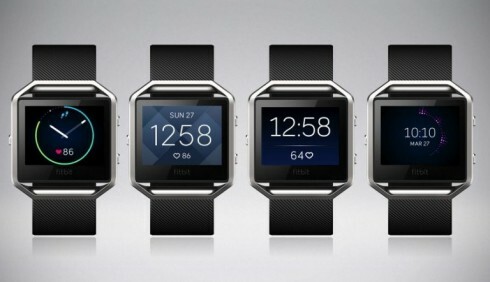 And now, we await the launch of the very first Fitbit smartwatch. The report also sheds light on the rumors of Fitbit working on an independent app store that’ll provide third-party developers with another avenue to develop apps. The company will. thus, provide them with an API platform for developing their apps. These API could be sourced from the software assets acquired from Pebble late last year. This will, however, push Fitbit into a highly competitive market which hasn’t been able to gather attentions from buyers. The company will have to develop something different to stand out and sell out.